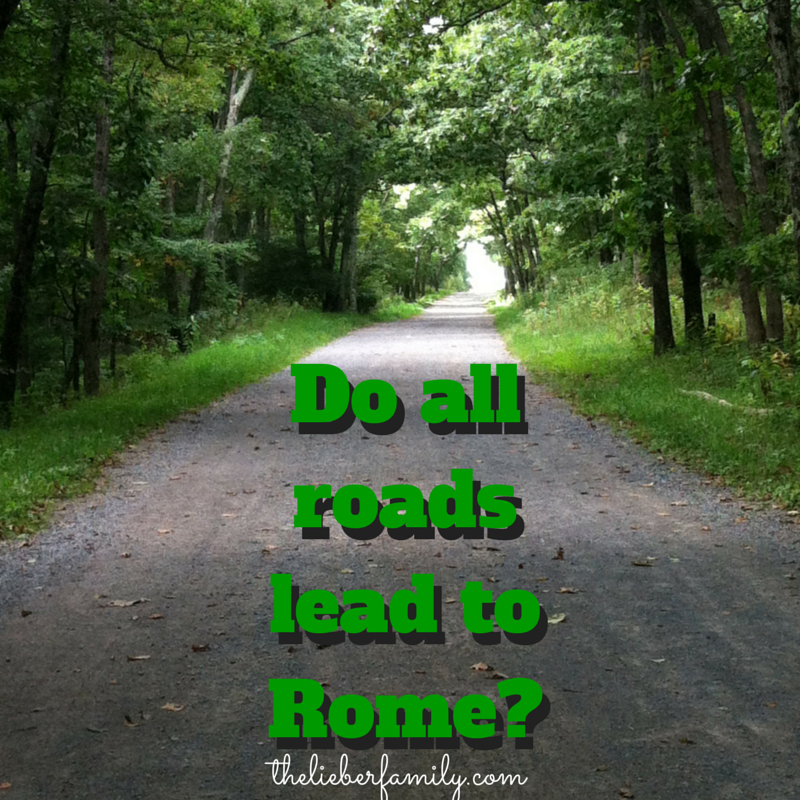 The Liebers: Do All Roads Lead to Rome? Regret is a funny thing. I think we've all dealt with it at some point in our lives. Some people brush it off without much of a thought, but some people have let it take over their minds. I won't claim to know how this whole "life" thing works, but I do think that there are certain things that are meant to happen no matter what. I think the science fiction world calls them "fixed points." When I look back at my life, there aren't really any things that I truly regret. I think every experience I have had has led me to be the person that I am today. Still, it's a interesting idea to think of what might have happened if a different choice had been made or a different path had been taken. I went to a small high school in a small town. My graduating class had 104 students which was the largest class they had dealt with in many years. For comparison's sake, I think my brother's class the next year was only 88 or 89 students. I never felt like I fit into one group or another. I sang in the choir, I was part of the soccer team. I enjoyed being an altar server at church, but there were only 3-4 Catholic students in my class. One summer morning, after serving at Mass, the priest approached me with an idea. He had heard about a youth ministry conference going on that summer and he wanted me to go. I remember wondering why he had picked me and how I could get out of it. I've never been one of those "try new things" kinds of people. As many of you may know, I ended up going, having an amazing, life changing experience, and diving deeply into the world of youth ministry. That world is where I met many of the people I am close to today. It's also how I got to know Ken. But what if I hadn't gone? I'll never really know for sure, but let's just pretend for a little bit. I'd like to think that if I hadn't gone on that retreat, I still would have gone on to deepen my faith in other ways. I honestly can't imagine my life without that aspect. I do know that I would have been much less likely to meet Ken. He went to a different high school an hour away, so it's not a place I would have had other reasons to visit. I likely would have made the same college choice. I chose JMU because that's where my brother went, and we aren't changing his life choices, just mine. JMU would have been a different experience, though, without Ken's influence. He didn't go to school there, but he did visit frequently. And going to college with a boyfriend is very different from going to college without one. I've never been much of a party person. I have always preferred a quiet night in with a good book. I did have some very social roommates though, so I imagine they would have managed to get me out every once in a while for a good time. Since I went to college with a boyfriend who I eventually married, I didn't do any dating in college. Again, I don't regret being with Ken, but the college dating scene is one that gets played out on many sitcoms and movies, so I wonder how it would have been for me. Would I have met a guy at a party and hit if off right away? Would I have gone out on lots of different dates with lots of different guys? Taking my personality into account, I would have likely met someone and stuck him for a while. Ken and I moved to Charlottesville for his job the night after my graduation . We got married six months later. But without him in the picture, would I have stayed in Harrisonburg or would I have had another boyfriend to follow somewhere else? Harrisonburg seems like one of those fixed points in my history. We left but ended up back here and settling down. Without Ken, I would likely have stayed here and found a teaching position right away instead of leaving and coming back for a classroom. Taking Ken out of the picture would obviously have affected my marriage and family, but how? Would I still have gotten married shortly after graduating? Getting married, getting a job, and having kids came one after the other pretty quickly in real life. They likely would have in my alternate reality as well. I think that's just how I'm wired. It's a fixed point. Obviously those kids would be different ones since they wouldn't be half Ken's. Genders, ages, spacing, personalities...all those things are up in the air if the kids aren't a mixture of Ken and me, but I do remember always wanting three. I've often wondered about those families that only have one gender of kids. Is an all girl household quieter with more pink? Is an all boy household covered in dirt and sports equipment? It's interesting to look at life and wonder "what if." It's a road I don't want to travel too far down, though, because like I said, I like where I am and I wouldn't trade it for anything. A different choice at a different point in time could have changed things completely around, or it could be that certain things were just meant to be and would have happened anyway, albeit in slightly different ways. I could have made different choices or taken different paths, but I'd like to think I would have ended up here anyway. This is where I'm meant to be. I think the beauty of looking at the "what ifs" is finding a deeper respect for the path you've taken. Love how you do this in this post. What ifs can distract us from the present and all we have learned in life. But I think travelling down that path once in a while can give us some perspective of who we are and remind us of everything we have done as long as we don't get stuck in the land of what ifs. Like this piece a lot. I always forget what prompts I give Karen, so it's so much fun to see what it is and who gets it. You rocked it. I think I would have tried different paths with the gurantee I ended up right where I am now. 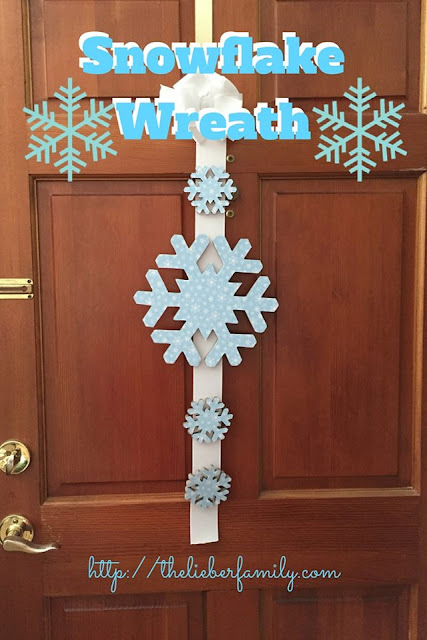 What a fun idea for a post!!! Love this prompt and how you answered it! Glad you're happy with your choices and where you are today! My very first SSS was a similar one. It gets you really thinking, right? Amen! You are where you were meant to be, so all roads lead home. Love this! Fantastic. I've made crazy choices, but I'm definitely where I'm meant to be. I've got you beat... I was one of 13 in my graduating class. Ah! The "what ifs." Honestly, all I ever wanted to do was get married and be a stay at home mom. Now that I've been there, done that, I do sometimes think about the other road. I also grew up in a small town and I think in many ways I just didn't realize how big the world was and how many options I really had. I got married at 21 & had my first child at 25. Sometimes, I kind of wish I had waited - traveled, "lived" a little more - but that would mean not having what I have now and I wouldn't trade this for the world! Seems to me you are right where you are supposed to be, doing what you are supposed to do. Good post! I often like to play what if. What if I had ended up marrying my high school sweetheart? Would I still have ended up a single mum before I was 30?? Probably yes, but still you never know. This is a very poignant post, it sure makes you appreciate the nows, knowing it all could have ended so differently. and I wouldn't trade it for anything." Me too! I am with you, I have few regrets because all my life experiences have brought me to where I am and help develop who I am. How cool! I don't have a lot of regrets because I think it would drive me crazy to wonder where all the other roads would have taken me. Hopefully not too far from here! I feel like I'm where I'm meant to be too. You can go crazy with all the "what ifs!" I met my husband in college, and if I had chosen a different school I wouldn't be with him, and I wouldn't have the kids I have. That's kinda mind blowing, so I don't think about that! It is good to be happy where you are. I like that saying "Bloom where God plants you!" This one was a real challenge (and I was a little bit mad at your at first!). I'm glad I really sat down and thought about it though. I am so very happy with where I am! That's true. Perspective is a good way to stay on track. I look back at a few former boyfriends and count my lucky stars for the bullets I dodged! Thanks, Karen. This one was hard and it really stretched me; but I'm glad I stuck with it! I think the boys in my house are worse than the girls when it comes to shoes!! This one took a lot of thought. I seriously thought about bailing for a while!! So very true! I'm glad I am where I am! Wow! Only 13!! That's a small class! There are a few things I wish I'd have experienced pre-kids, but I'm okay with how things turned out. My mom urged me to have adventures before getting married, but her adventures (in Afghanistan and Iraq) were not something I could live up to! It boggles the mind if you really sit down to think about it! What if you had made one small choice differently and is skewed everything!?! We'll never know, will we! I regret forgetting to put a diaper on my youngest last night!! And I had just changed the sheets! You could spend days and days pondering all the what ifs, couldn't you? Even the dark times we've walked through have positive things to offer if we look hard enough. I think I still would have ended up in a similar place, but we'll never really know, will we? It is really a long journey down a scary path if you try to think about it too much. God works in great ways, but I do have this theory that although I'm where I should be in my life I've missed out on some blessings and encountered some obstacles because of certain choices. Regrets, yes I have some, but it's so true that I wouldn't be the person I am without them. I love that way of looking at it, Shawnna. Maybe we'd end up in the same place, but have a harder or easier go of it according to our choices.